Did you know every $6.00 in debt removes approximately $1,000 of purchasing power from you. What that means is if you have a car payment of $300.00 per month you have $50,000.00 of buying power. We will help you design a purchase plan that will help you reach all of your goals in home ownership. Our "Purchase Plan Program" has been used by many people and a proven success in the Mortgage Industry. The best part is the program is "Free" you don't get many things that are free but this is offered to you. A : There is no simple formula to determine the type of mortgage that is best for you. This choice depends on a number of factors, including your current financial picture and how long you intend to keep your house. Morgan Mortgage Partners can help you evaluate your choices and help you make the most appropriate decision. Q : How long does it take to get a loan approval? A : Once you apply on line or over the phone you will have a preliminary decision shortly. All of your documentation must be reviewed for an accurate approval. If you are unable to be approved you will given details on how to become "buyer ready." We believe it is never a matter of if someone can by - sometimes it is just a matter of "when." Q : What documentation will I need to provide? 1. If you are renting and are applying for a mortgage to purchase your home, you will need the names and address of your landlords for the past two years. 2. You will need proof of income for the past two years in the form of most recent tax returns if self employed, commissioned or have rental income. W-2 Employees will need pay stubs and most recent W-2 for the past 2 years. If you are not self-employed you will need your w-2 forms for at least two years and a copy of your most recent pay stub with the year to date income. 3. Documenting your assets is important; you need statements from your checking and savings accounts, retirement and investment accounts, including your IRA or 401k plan. All pages for each statement. Example - if the pages are numbered 1 or 10 - all 10 pages. 4. If you receive income from Social Security, Workman's Compensation, private pension, or child support, request a benefit letter showing how much your receive. Also you will be required to provide documentation of continuation of income. 5. 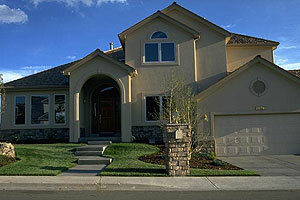 If you are purchasing a home the real estate contract and information on that property. 6. Organize your current account statements for any loans you have. This includes student loans, car loans, and your present mortgage. You will need the payoff balances and lender information for each of these loans. You will also need the most recent statements for your credit card accounts and home equity loans. 7. If you are self-employed you need your last two Federal tax returns and any schedules you filed. You need your current year profit and loss statement and your balance sheet. If you file a corporate tax return you will need two years plus any schedules used. 8. If you filed bankruptcy within seven years, you need all of your documents including the petition and discharge, a written explanation as to why you filed bankruptcy, and your current credit reports from the three credit agencies: Experian, Trans Union, and Equifax.